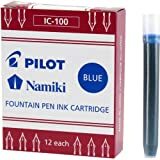 Pilot Namiki IC100 Fountain Pen Ink Cartridge, Blue, 12 Cartridg.. Created using the highest standards of color 12 cartridges per pack Intense color Consistent ink delivery For use with Pilot and Namiki fountain pens From a culture that has revered the art of writing for more than a thousand years comes instruments a..
Es fácil dejar pasar artículos, dadas las carreras que la vida nos interpone cada día. Este libro me ofrece la oportunidad de reunir mis artículos favoritos en un solo lugar, y de agrupar una diversidad de ideas, emociones, y lecciones en algo mas cohe.. Examining paintings, films, music and literature in light of some of the ideological and material contradictions that animated the regime, it argues that fascist masculinity was itself highly contradictory. It brings to the fore works that have tended to b..
Art and Theory After Socialism considers the new critical insights that are produced in the collisions of art theory from the ex-East and ex-West. The collected essays assert that dreams promised by consumerism and capitalism have not been delivered in the..
Barcelona: An Urban History Of Science And Modernity, 1888–192.. Architecture and art blossomed in the work of Antoni Gaudi­ and many others. At the same time, social unrest tore the city apart. Topics such as art nouveau and anarchism have attracted the attention of numerous historians. Yet the crucial role of scie..